Ez 36:23-28 Lord: I'll take you away from among the nations, gather you, return you to your land, sprinkle clean water upon you, cleanse you from your impurities and idols, and give you a new heart and spirit, replacing your hearts of stone with hearts of flesh. I'll put my spirit in you and make you live by my statutes. You shall be my people; I, your God. Ps 51:12-15, 18-19 "I will pour clean water on you and wash away all your sins." Create a clean heart for me; give me joy. You won't spurn a contrite, humble heart. Prayer alert: Please join him in prayer as he mourns the tragic accidental death of three of his family (niece-in-law, her 2-year-old, her 8-month-old) and prays for his nephew, Emanuel Horacio Bergoglio, who was seriously injured in the traffic accident. Creighton: God promises to renew us: he establishes an intimate relationship with us and expects us to enter humbly and live by his standards. Salvation is an invitation to a sustaining relationship. The Holy Spirit renews us, giving us joy. One Bread One Body: Are you properly dressed for heavenly banquet? Clothe yourself with Christ (Gal 3:27). Put on a new man, growing in knowledge while re-formed in the Creator's image (Col 3:10). Put on Christ and make no provision for desires of the flesh (Rom 13:14). The Spirit clothes us with power from on high (Lk 24:49) and with humility in our relationships (1 Pet 5:5). Clothe yourselves with mercy, kindness, humility, meekness, and patience (Col 3:12). We must be found clothed and not naked (2 Cor 5:2-3). Happy those who stay awake and clothed for fear of going naked and exposed! (Rv 16:15). On the Lamb's wedding day, his bride has prepared herself; she's been given a dress of finest linen, brilliant white. (The dress is the virtuous deeds of God's saints) (Rev 19:7-8). Passionist: In the 1st reading, Jews are falling from their attachment to God, but instead of lashing out at them, he gives them a new heart and spirit. In the gospel, the king changes his plans when guests don't show and invites more guests. Pius X changed the practice of late first Communion to admit kids at 6-7 and changed the practice of yearly Communion to frequent Communion. Let's not recoil from change from the better. DailyScripture.net: Theologian/martyr Dietrich Bonhoeffer contrasted "cheap" and "costly" grace: "Cheap grace is grace we bestow on ourselves... the forgiveness without repentance... grace without discipleship, the cross, or Christ.... Costly grace is the gospel that must be sought, the gift that must be asked for, the door at which one must knock; it's costly because it calls us to follow Christ and costs our life, and it's grace because it gives us the only true life." (The Cost of Discipleship, paraphrased) God invites each of us to his heavenly banquet that we may celebrate and share his joy. Are you ready? 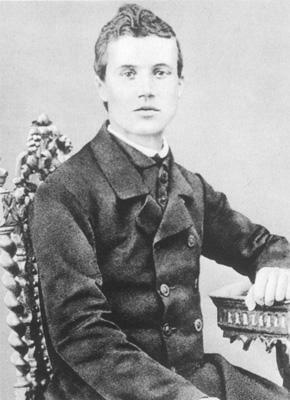 Universalis: Pope St. Pius X, one of ten children of a poor family, ordained at 23. sought to restore all things in Christ, insisted on Church/State separation, revised canon law, founded an institute for Bible studies, reformed the liturgy, lived poorly even as pope, preached weekly, and worked miracles; see Catholic Encyclopedia. Bl. Victoria Rasoamanarivo, born in powerful family, Jesuit- and Sisters-educated, baptized at 15, kept Madagascar Church alive, married/prayed for an violent alcoholic who converted on deathbed ; see Wikipedia. I'll be with my family camping for a few days, out of good Wi-Fi range. I'm excited not only that I'm getting away but also that three guest bloggers have volunteered to post in my absence. They'll introduce themselves in their posts. Expect some fresh stuff!